An Israeli woman inside a home in Sderot hit by shrapnel from a rocket that landed nearby. 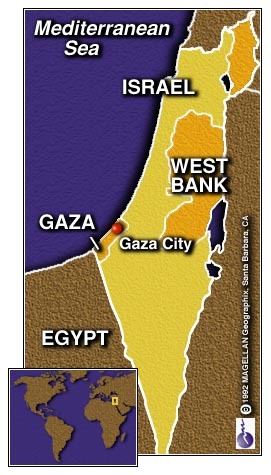 Rockets from Gaza continued to hit Israel on the 20th day of an Israeli offensive aimed at ending shelling from Gaza into Israel. 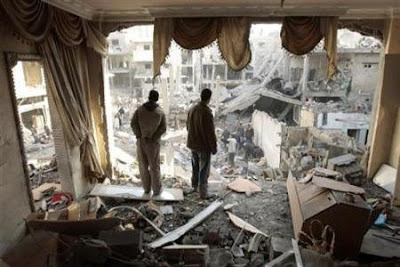 Palestinians look at a house destroyed after an Israeli air strike in Gaza City January 14, 2009.